(Bloomberg) -- The Chinese economy likely stabilized in the first quarter of this year, but a closer look under the hood will be needed to tell whether that’s just a temporary improvement or if the economy has hit bottom and is rebounding. 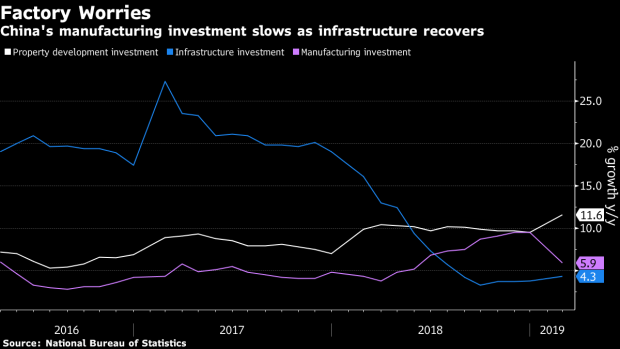 The government’s stimulus efforts have been having an effect -- infrastructure investment stabilized and started recovering since late last year, while property spending ticked up in 2019. However, the sharp deceleration in manufacturing investment is raising concerns, as it had been a pillar of growth last year.